Philosophy might make you think of dusty statues in togas or Zen masters meditating, but the philosophical world has far more to offer than ancient men in beards: it can also tell you everything you need to know about life, love and death. 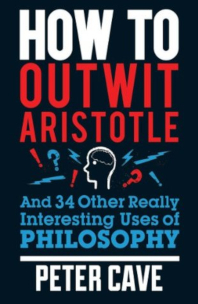 In a series of highly original, entertaining and often extraordinary scenarios, How to Outwit Aristotle brings to life 35 key philosophy concepts in a way that everyone can understand. From the realm of the unconscious to the principles of logic, the 35 bite-sized chapters in this book will not only help you understand our world, how we find meaning in life, and how we think of right and wrong, they’ll help you win arguments, learn the art of seduction, and even get one up on Aristotle. First published by Quercus (UK) in 2011.